Suffering from pest infestation can be a stressful and even traumatic experience. Not only that but it can leave you with a sense of embarrassment and sometimes the easiest option is to be like the proverbial ostrich and stick your head in the sand and hope that, if you ignore it, it will go away. Sometimes, no matter how hard you try, you will need to contact expert pest control services to remove the infestation as it can be too time consuming or simply too difficult to do yourself. But how do you know when you have reached that point and the problem is no longer solvable and you need professionals to come in and rectify the issue? There are a few tell-tale signs that will let you know when enough is enough and you need to pick up the phone. One of the most obvious signs that the problem is out of hand is when you start discovering unusual animal droppings. Rodent droppings are easy to spot but look out for cockroach droppings which look like pepper corns. If they are leaving droppings around they are feeding and thriving within your property and there’s likely to be a considerable number of them. If you have few visual indications but can detect strange scents within your property, this can often be caused by infestation. Sometimes the problem is hidden behind walls or under the floors and whilst you may not be aware, there could be a serious problem hidden from your view. If you can trace any unrecognisable smells within your property it is advisable to contact a professional. As with smells, sometimes the only factor that can give away the prevalence of pests can be hearing rather than seeing. Rodents and insects can remain hidden from view but be everywhere within the property moving between the floors and walls. If you can hear activity, particularly if it’s moving or in more than one place you will struggle to remove them yourself. Whilst pests can remain hidden from view they will leave trails of destruction. Like droppings damage marks around the property will reveal that intruders are present and are creeping around without you seeing them. Certain animals will only come out at night so even if you can’t hear them you might be able to see evidence of them. It is common to find certain insects within your house and merely seeing a few spiders is certainly not a cause for concern. 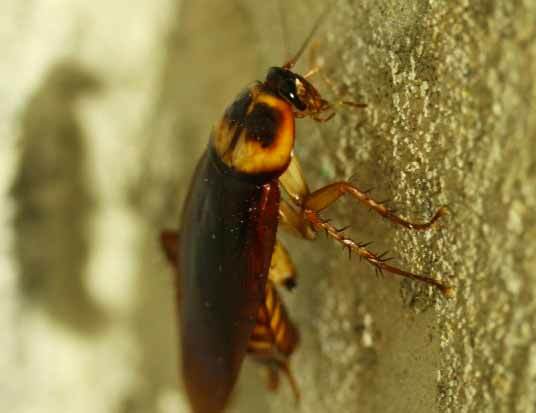 But if you see insects you have not seen in your property before, especially if you see them multiple times, the chances are they’ve made a home somewhere in your house. These can be near impossible to locate so will be most easily removed by a service specialised in dealing with their removal. Like gnawing and damage marks, pests will tend to leave evidence of their presence. These are sometimes harder to spot but rodents, particularly rats, are covered in grease and grime and will stain the walls where they have been rubbing against them. Sometimes this can be from rats moving around inside the walls so if you see any such signs don’t ignore them as unusual but act on them quickly as it’s likely a sure sign of the presence of pests.